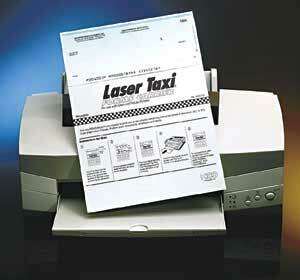 Drive one or two checks that remain from your standard 3-per-page laser checks through the printer with this carrier. Documents stick to an adhesive strip. Also use with envelopes, labels and small or irregular documents. Set of 10 reusable sheets.